Up-to-the-minute news about the UFC 163 fight card, taking place Saturday, August 3 in Rio de Janeiro, Brazil. All bouts listed have been verbally agreed upon by both fighters and are subject to change. Three injuries in the final weeks leading up to UFC 163 have caused fight card reshufflings and paved the way for new athletes to join the UFC. On the main card, TUF 17's Clint Hester has been forced out of his bout against TUF Brasil's first middleweight winner, Cezar "Mutante" Ferreira. Stepping in will be Thiago "Marreta" Santos, a Rio-based knockout artist. Also on the main card, English flyweight Phil Harris has been forced out of his planned fight against Parana's 23-year-old prospect John Lineker, who's won 15 out of his last 16 and is regarded as the division's most powerful puncher. Lineker will now welcome Jose "No Chance" Maria to the UFC. Maria is a proven finisher with over 30 career wins to his credit. Finally, Brazil-born, Las Vegas-based BJJ coach Robert Drysdale has been bumped from the card. Light heavyweight Ednaldo "Lula" Oliveira will now fight 15-3 Francimar "Bodao" Barroso, who has only gone to decision once in his 18-fight career. The early July injury bug has hit Brazil's UFC 163 card, with Josh Koscheck the latest victim, as he has been forced out of his welterweight bout with Demian Maia on August 3. The Rio de Janeiro card, headlined by the UFC featherweight title fight between Jose Aldo and Chan Sung Jung, will now proceed with 12 bouts. Korean Zombie to Face Aldo in UFC 163 Main Eventupdated June 14 After a knee injury forced Anthony Pettis from his UFC 163 main event against Jose Aldo, "The Korean Zombie, Chan Sung Jung, has stepped up to battle the Brazilian for the UFC featherweight title at HSBC Arena in Rio de Janeiro on August 3rd. UFC president Dana White tweeted the news Friday afternoon. There is no word as of yet on a replacement opponent to face Ricardo Lamas, who Jung was scheduled to meet at UFC 162 on July 6. Aldo's last scheduled title fight in Brazil at UFC 153 was also switched after opponent Erik Koch, a teammate of Pettis, was injured. 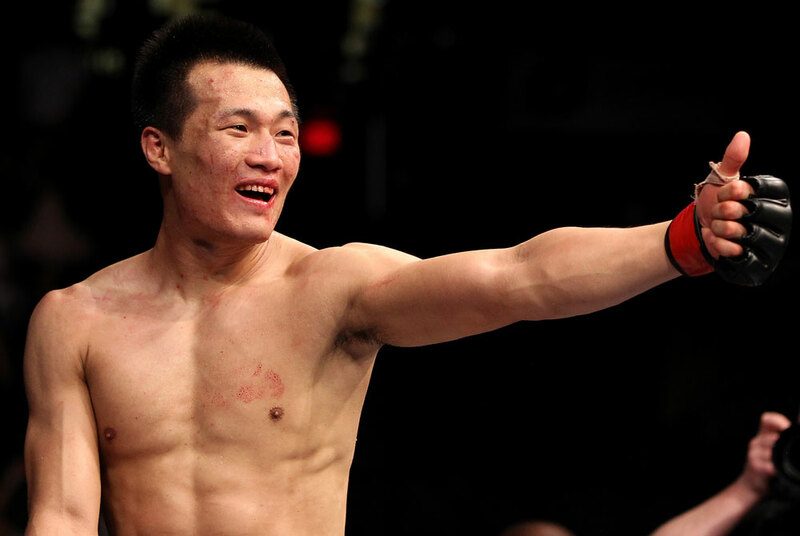 Two flyweight bouts have been booked for UFC 163 in Rio. Fresh off his latest knockout in April, Brazilian wrecking machine John Lineker is jumping right back into the Octagon; this time he'll face England's best flyweight, Phil Harris. Plus, third-ranked 125-pounder Ian "Uncle Creepy" McCall meets Belem's Iliarde Santos. BJJ world champion and undefeated MMA fighter Robert Drysdale will step out of the cornerman role and into that of fighter. The light heavyweight, who has trained a who's-who of champions and Las Vegans including Frank Mir and Forrest Griffin, will debut inside the Octagon against 13-1 Ednaldo Oliveira. At featherweight, grappling ace Rani Yahya goes against Skrap Packer Josh "The Gentleman" Clopton. And in the first UFC women's bout to be held in Brazil, bantamweight striking specialists Amanda Nunes and Sheila Gaff face off. 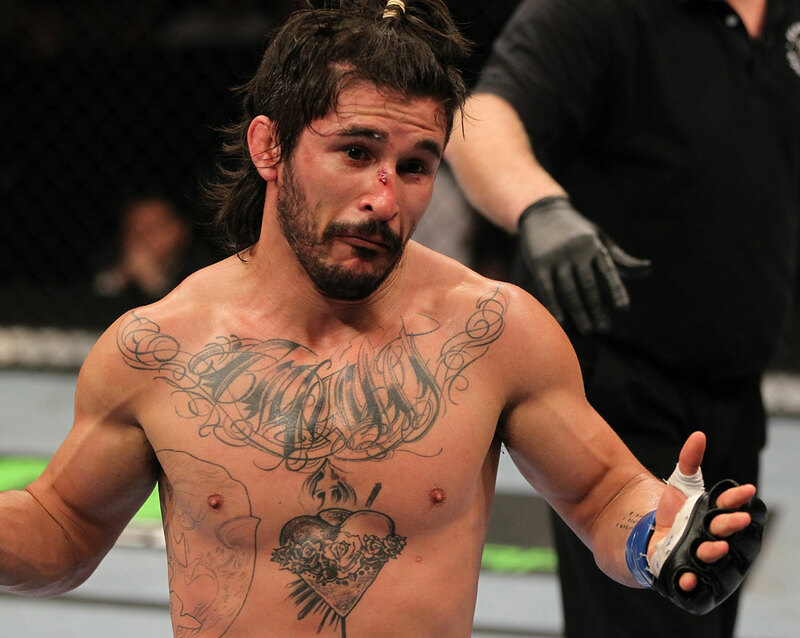 updated: TUF 16's Bristol Marunde will return to welterweight to face TUF Brasil's Viscardi Andrade. 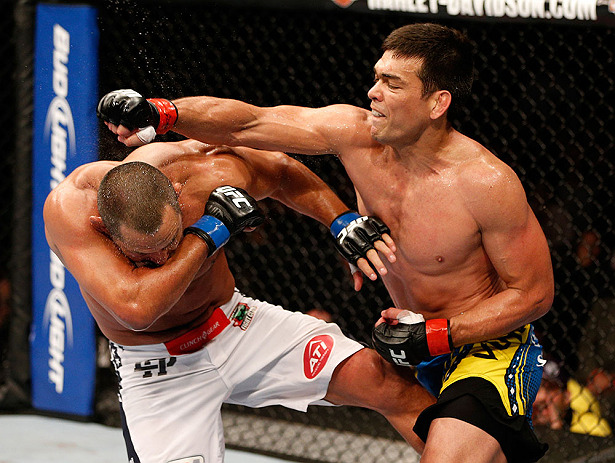 Former light heavyweight champion Lyoto Machida will fight in his home country of Brazil for the first time in his Octagon career this summer, as he takes on Phil Davis in the co-main event of UFC 163. A win for either man would likely bump him to the top of pile of contenders for the division's title, currently held by Jon Jones. Three Brazilian TUF alumni will fight in their home country at UFC 163 this August in Rio. At middleweight, TUF 17's Clint Hester faces TUF Brasil winner Cezar "Mutante" Ferreira. 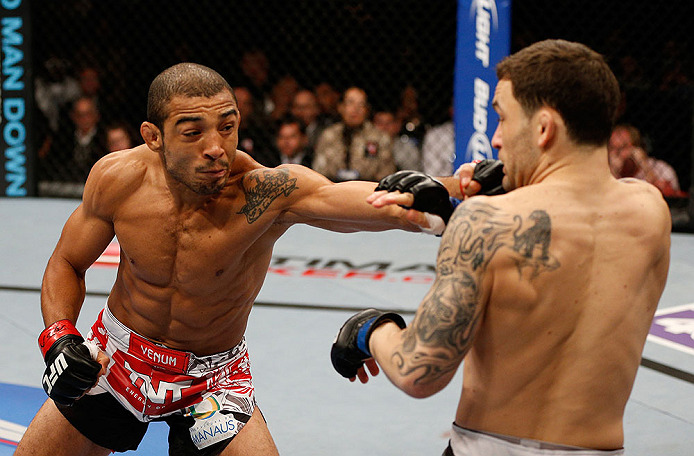 Finally, TUF Brasil semifinalist Sergio Moraes will meet TUF 16's Neil Magny in a welterweight clash. Former middleweight title challenger will return to the Octagon August 3 to face Tom Watson. Leites has gone 6-1 since his last UFC appearance, including wins over UFC vets Dean Lister, Tor Troeng and Jeremy Horn. The buzzy featherweight title fight between champion Jose Aldo and former WEC lightweight champion Anthony Pettis now has an official home: The event will take place August 3, 2013 in Rio de Janeiro, Brazil. One other bout has been set for the event, with #10-ranked Josh Koscheck taking on #5-ranked Demian Maia in a battle between pedigreed ground specialists. Marshall Zelaznik, UFC's managing director of international development, confirmed the bouts at Saturday night's UFC on FX 8 post-fight press conference. champ and current UFC contender Anthony "Showtime" Pettis. Donald Cerrone earning him Knockout of the Night honors. This sizzling summer showdown will take place at an event and venue to be announced.